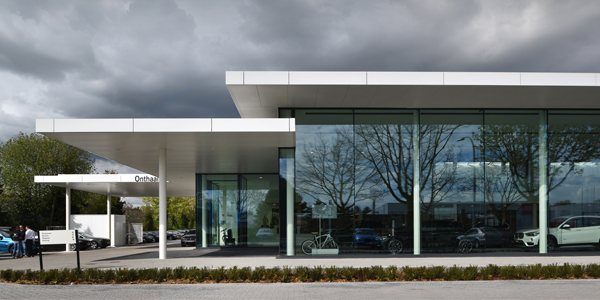 A series of key elements led BMW Herentals to renovate its car dealership therefore, FCM Architects combined various expertises such as the structural architecture as well as the interior design & spaces optimization. 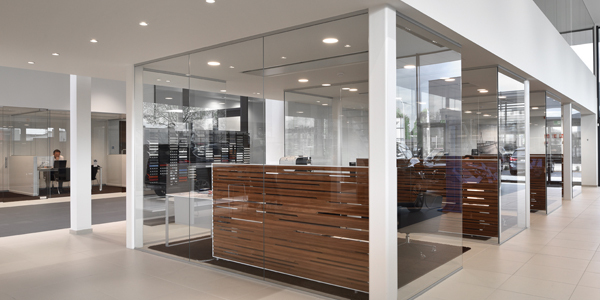 First of all, the current showroom was not compliant anymore in terms of size and was not reflecting the new brand visual concept. 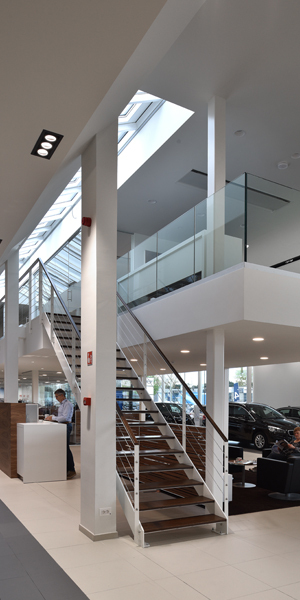 Moreover, our client wished to gather the second hand cars activity with the other services. 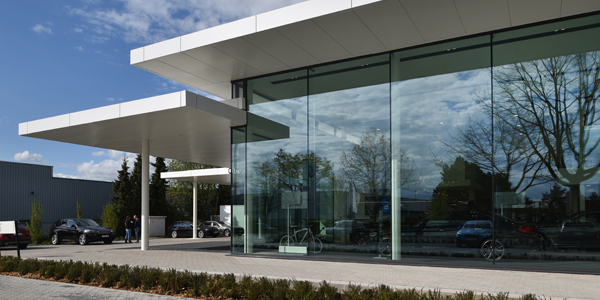 Therefore, the different departments have been centralized on one location: the BMW & MINI show-rooms, second hand cars, body and spare parts workshops. 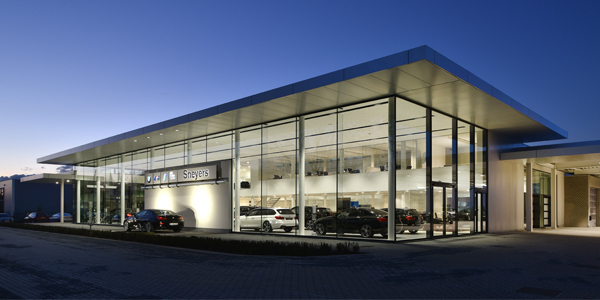 The existing showroom has been completely demolished and replaced by a new building hosting the BMW retail area. 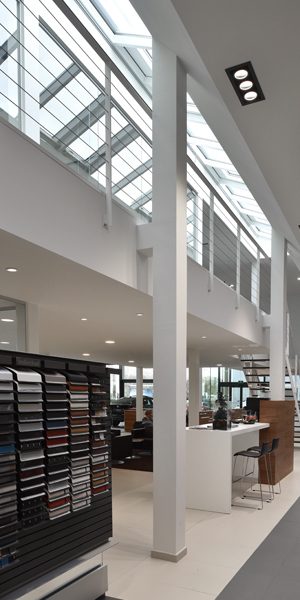 The main showroom is now located at the front side of the building, allowing a maximized daylight input for the brand and its products. 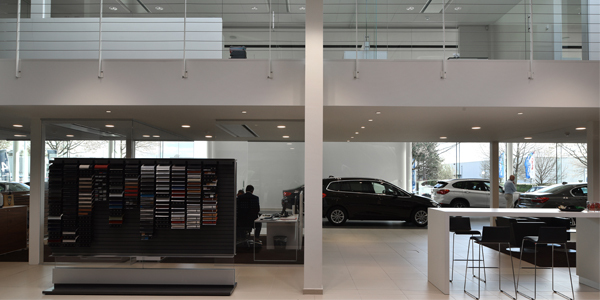 The office zone is installed in a new mezzanine overhanging the sales area in order to offer a nice and practical working space for the entire commercial team. 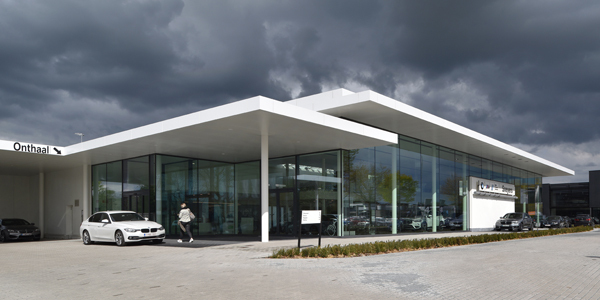 Due to a contemporary outdoor canopy connecting both BMW and MINI show-rooms, the second hand cars are presented outside the main building and protected from the eventual unfavorable weather conditions. 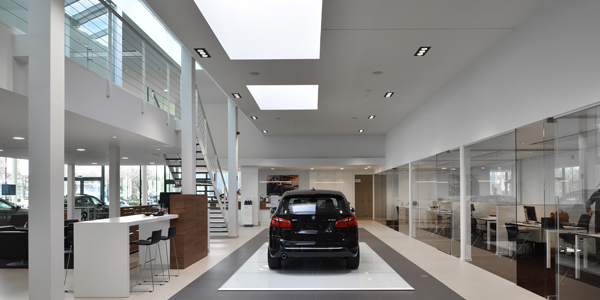 To summarize, FCM Architects has managed to create a brand new sale experience through a limited amount of actions allowing the different departments of the dealership to express the German brand values and to welcome the customers in an intuitive and qualitative environment. 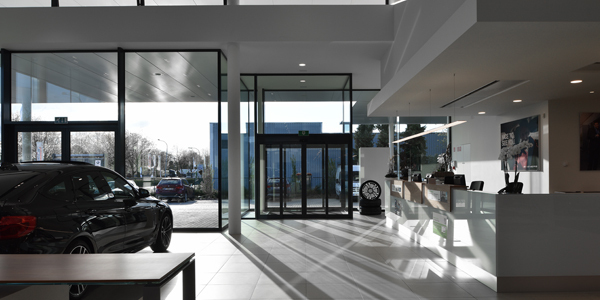 The Grand opening happened in March 2017 with great success.